Join us for a Book Launch of An Ghaeilge in Eaglais na hÉireann, the first book to chronicle the role of the Irish language in the history of the Church of Ireland; which is now re-published by Cumann Gaelach na hEaglaise for a new generation. 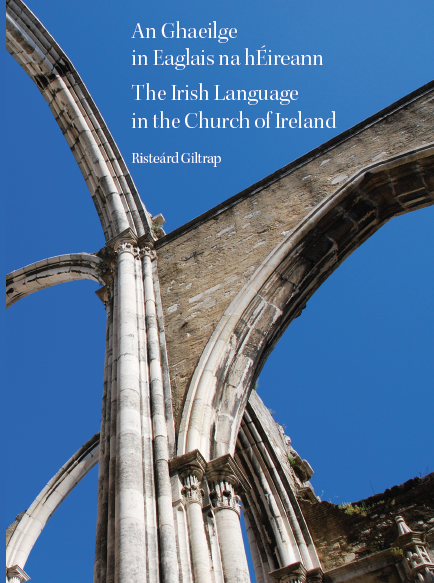 This new publication, thirty years on since it was first written by Risteárd Giltrap, is now bi-lingual and beautifully presented, it will be of interest to those seeking an understanding of a strand of Irishness which has long been an influential aspect of Irish identity. The book will be launched by Caroline Nolan, Oifigeach Forbartha Gaeilge (Irish Language Development Officer). passions and concerns as Gaeilge”. and Patron of Cumann Gaelach na hEaglaise. The book launch will be coupled with a talk by author, lifetime activist and publisher Padraig Ó Snodaigh, who will talk about one of his most well-known books Hidden Ulster: Protestants and the Irish Language. The book launch and talk, will be followed by a screening of the recently made film Mná na nGlinntí(presented by former President Mary McAleese) and an open discussion, chaired by writer and historian Séamas Mac Annaidh with additional panel member Fiona Crudden (FODC) and participants including visitors from Trillick Arts and Cultural Society. Across the Lines: Green & Blue Feedback! 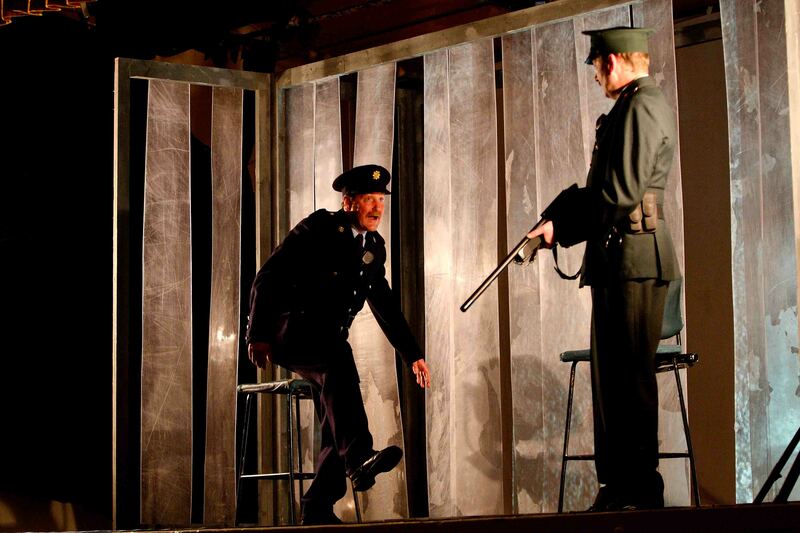 Images and a small selection of participant comments received from the performance of Green and Blue by Kabosh Theatre Company in Kiltyclogher Community Centre 17 April 2018, as part of our ‘Across the Lines’ programme.